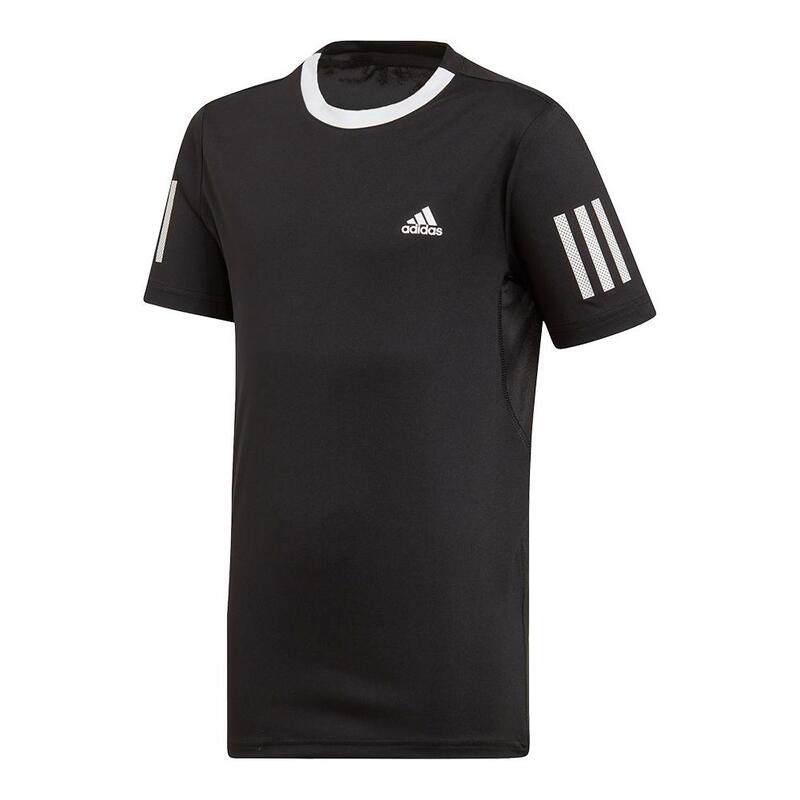 Stay cool during summer grind sessions in the adidas Boys` Club 3 Stripe Tennis Top in Black and White! 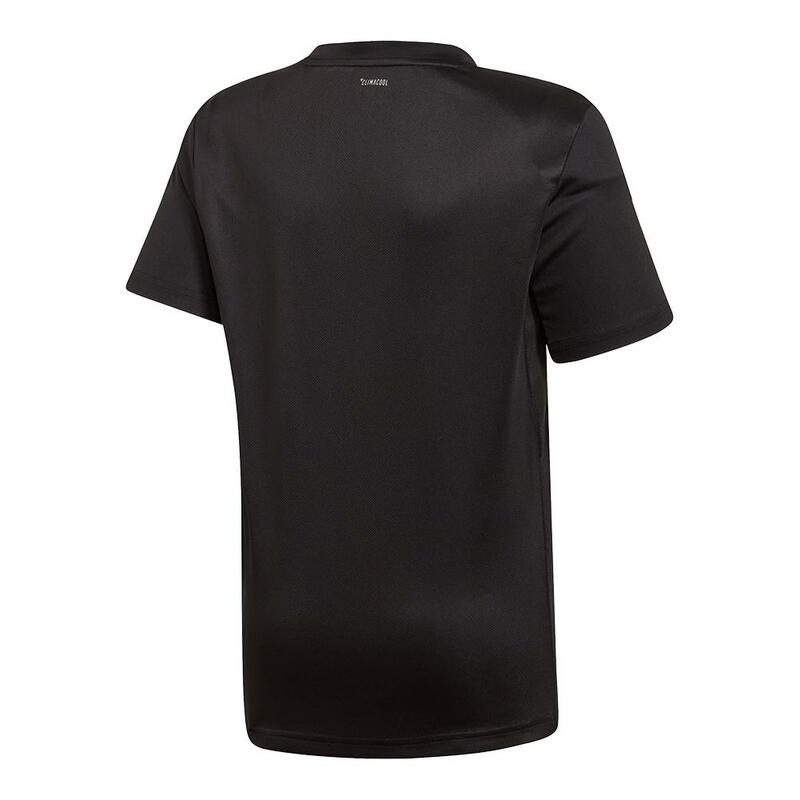 This junior boys' t-shirt keeps you cool even during long rallies with CLIMACOOL technology. 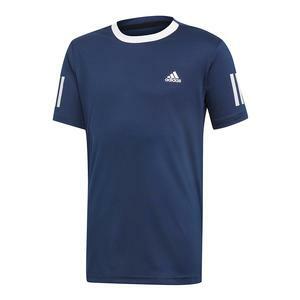 The t-shirt has a droptail hem and three stripes on the sleeves. 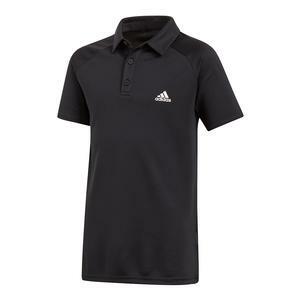 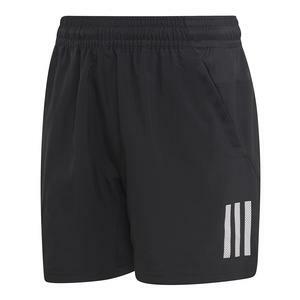 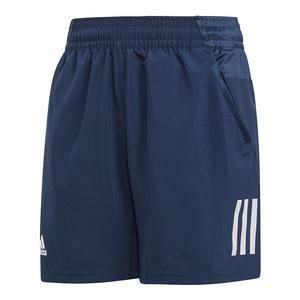 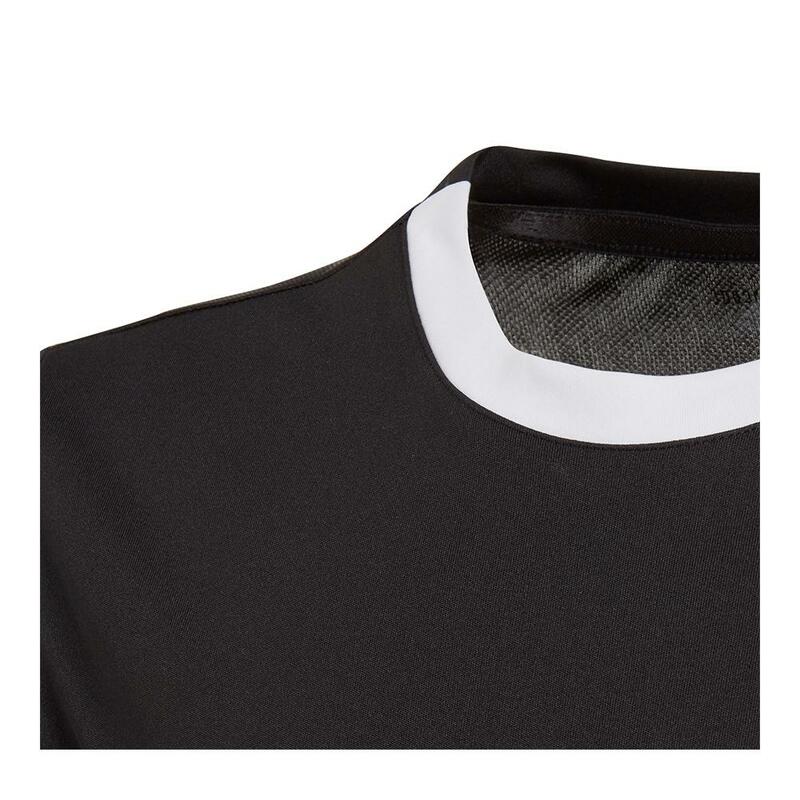 The crew neck collar has contrast ribbing on the back neck and engineered mesh panels on the back and underarms for breathable comfort.The adidas Badge of Sport is prominently displayed on the left chest.